KITMANIA is a multi-content WAP portal with content such as Games, Wallpapers, Screensavers and Videos, ready for users to download. It’s an “all you can eat” type of portal, where users can choose from a range of downloadable Apps and games including a selection of cloud games. What type of content is available on the portal? What would be the major genres of content that would be available? Arcade, Puzzle, Sports, Action, Racing, Entertainment, Strategy, Skill and Cards. What is the access URL for the portal? Is it a subscription portal or a pay per download portal? It’s an “all you can eat” subscription. Subscribed users will be able to download all content. What is the new LISN service about? It is an Android mobile app which will allow Mobitel users to download audio books and listen to them even when the data is off. Android users can simply download the LISN app from the Google Play Store, select the audio book that he/she likes and proceed with the payment. Once the payment is confirmed the user can download the Audio book and listen to it as many times as possible whilst being offline. How much do you charge for using this service? Prices of each audio book will be mentioned. The user will not be charged any taxes for the purchases and will only pay the amount shown on the app interface. There will also be FREE audio books for the users to enjoy. Can I listen to a preview before I purchase the book? Yes you can. This is available for every audio book. Please log on to the mobile app and click on “PREVIEW”. What are the Audio books available? The content catalogue consists of children’s books to novels to educational books. Will I be charged for data? Yes. But mobile app can be downloaded from Google Play and you will be liable for data charges for downloading the app & audio book. Where can I get more information regarding the service? Hungama.com is your one-stop entertainment shop. Here you can sample, select and download your favourite music tracks, videos, ringtones and mobile wallpapers. Your site entertainment site - Hungama.com offers Music tracks, videos, ringtones and wallpapers. Just browse through our massive library of 200,000 items and download your pick from the best of Indian entertainment – Bollywood, Devotional, Regional (Tamil, Telugu, Kannada, Punjabi, Bhojpuri, Gujarati, Marathi, Bengali) and much more. Are the downloads limited on Hungama.com? Absolutely not! We believe entertainment has no limits, so why should someone limit your access to entertainment. The amount of items you can download depends on the kind of subscription plan you choose. You don’t have to be a member of Hungama.com to enjoy browsing and sampling all the music and video content available on the site. We will only identify your mobile number at the time of downloading content. Can I be sure that the entertainment content download from Hungama.com is not illegal? Hungama.com is the legal distributor of all the content available on the site. Be it the music tracks, videos or movies and all the content featured on your unlimited entertainment site - You.Hungama.com is being offered legally for your entertainment and downloading purposes. Hungama.com offers the latest and hottest content available in the entertainment circuit. We also ensure that the content you download from us is of CD quality and is free of any viruses or spyware. And the content is priced so reasonably that it virtually costs you nothing to download all the content on the site. This way, you are downloading all the best entertainment you can dream of, and that too legally. Which music labels and movie production houses offer their content for streaming/downloading on Hungama.com? Your unlimited entertainment site - Hungama.com offers hottest-selling content from all the big labels & banners like T-Series, Yash Raj Films, Big Music, Think Music,Adlabs Films, Red Chillies Entertainment, Super Cassettes Industries Ltd, PritishNandy Communications, B. R. Chopra Films, Balaji Telefilms, Cineyug, Excel Entertainment, K Sera Sera, Nadiadwala, Gulshan Kumar, Mahesh Bhatt, Mukta Arts, Percept Picture Company, Shemaroo Entertainment and many more. You can find full-length Music Tracks, Ringtones & Videos to download under Bollywood, Instrumental, Dialogues, Regional, Miscellaneous, Indipop, Ghazals and Devotional categories as well as mobile wallpapers of Models, Bollywood, Festivals and South Indian Cinema. Can I access Hungama.com Mobile site on any mobile phone? Any mobile that is MOBILE enabled will allow you to view the Hungama.com MOBILE site. MOBILE enabled means that you can connect to any WEB or MOBILE pages on your mobile, even when you're out and about, and download great content for a list of compatible handsets. How do I access Hungama.com Mobile site on my mobile phone? To access Hungama.com on your mobile phone, you first need to ensure that your mobile handset supports GPRS. You also need to ensure that GPRS is enabled on your mobile phone by your mobile service provider. b) Type Hungama.com on your address bar and click to go to the site. How do I download content to my phone? Downloading content on your mobile phone from the Hungamawap site is very simple. d) Select a plan viz. Single Download or Value Pack and click on the Download button under that plan. ** Taxation to be charged based on data rates for subscription and pay per download services. Where can I view all my transactions using my mobile phone? Using the Hungama.com Mobile site, you can view details of all the transactions that you have made using that mobile number. You need to visit "My Collections" and browse through all the order numbers. You can view each individual order and the content that you have downloaded on your Mobile phone. You need to visit My Account >> My Collection on the hungama.com wap site to view all the content that you have downloaded using that mobile number. I am already a user on the web site. Do I have to register again on the wap site? WEB & MOBILE memberships on Hungama.com are independent of each other. However on MOBILE, we will only identify your mobile number at the time of downloading the content. What can I find in the Content Library? Your Content Library consists of all the items you have purchased. To go to the Content Library, just go to My Collection. Can I enjoy full length versions of the content I have downloaded in the Content Library? Yes, Your Content Library features all the items you've purchased. So you can enjoy full-length music tracks and full-length videos of these purchased items instead of the short previews you sampled earlier. Can anyone else access my Content Library? No. Your Content Library is your own private collection of purchased content. So long as you do not give anybody else your mobile device or SIM, no one else can access your Content Library. Do I have unlimited access to the content in my Content Library? Yes. You can access your Content Library as often as you want to, by going to My Collection. You can download each music track, video, ringtone or mobile wallpaper from your Content Library a maximum of 3 times. You can download each music track, video, ringtone or mobile wallpaper from your Content Library a maximum of 3 times. What can I view under My Transactions? My Transactions has a record of all your purchased items. You can view the orders purchasedand the content you have purchased within each order. 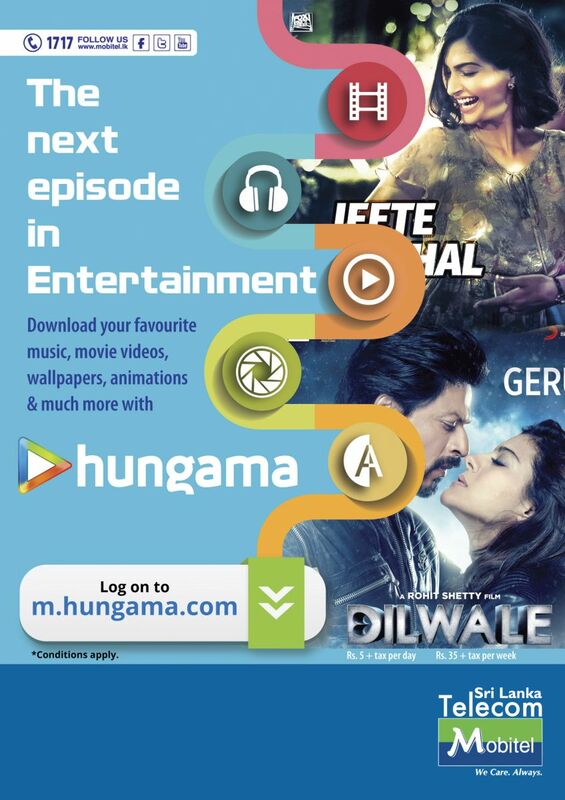 What entertainment content can I access on Hungama.com Mobile site? Your site entertainment site - Hungama.com offers, music tracks, videos, ringtones & wallpapers. Just browse through our massive library of 200,000+ items & download your pick from the best of Indian Entertainment, Bollywood, Devotional, Regional (Tamil, Telugu, Kannada, Punjabi, Bhojpuri, Gujarati, Marathi, Bengali) and much more. How do I pay on the mobile to purchase content? While purchasing content on the mobile phone, you need not make any separate payment. You will be directly billed by your mobile service provider based on the plan that you have opted for while downloading. Can I play my music tracks and music videos on any other music player? Yes, you can play your music tracks and videos on any other music player as well, once you have purchased the items through the plans available to you viz. Subscription Plans or A la carte Plans. How do I set an image as wallpaper on my mobile device? c. Go to My Images and select Options. This option will allow you to set the image as wallpaper on your mobile device. 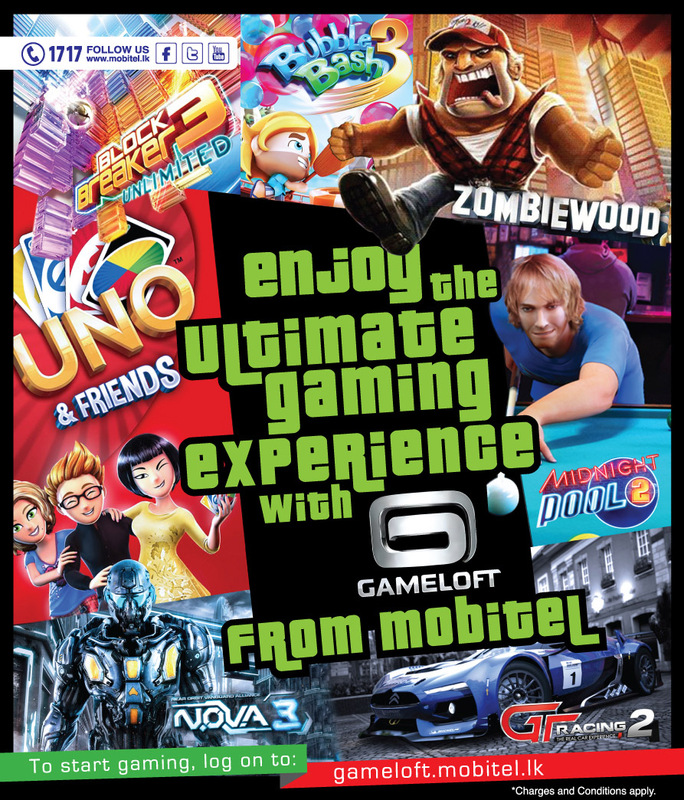 Game Hub is a gaming service where subscribers can enjoy a wide array of premium games on their mobile handsets. Game Hub works via a WAP portal which enables users to download and play mobile games. A subscription fee is not required for this service. How can Game Hub be accessed? What are the charges involved with Game Hub? Only data charges will apply during the special introductory period. *The SMS alert will be sent every morning with the results of the lotteries drawn on the previous night. *The results of the lotteries drawn on Friday, Saturday & Sunday will be provided only on the following Monday. 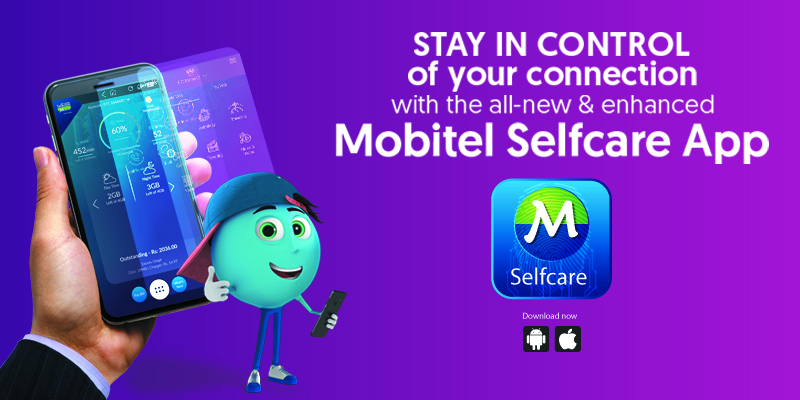 *SMS: Go to Mobitel -> My Mobitel -> Info services -> Lottery.